The journey of a thousand miles begins with a grand taxi to Tangier. And a six-hour train ride to Casablanca, grading homework the whole way as usual. 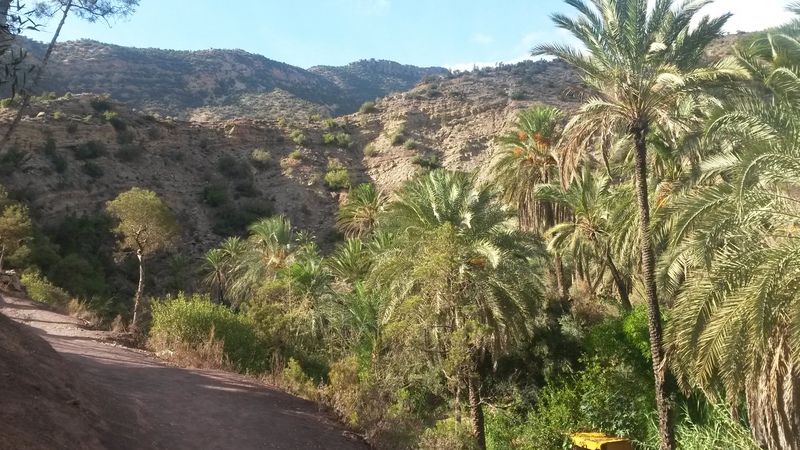 And an overnight bus from Casa to Agadir. Way, way down south. 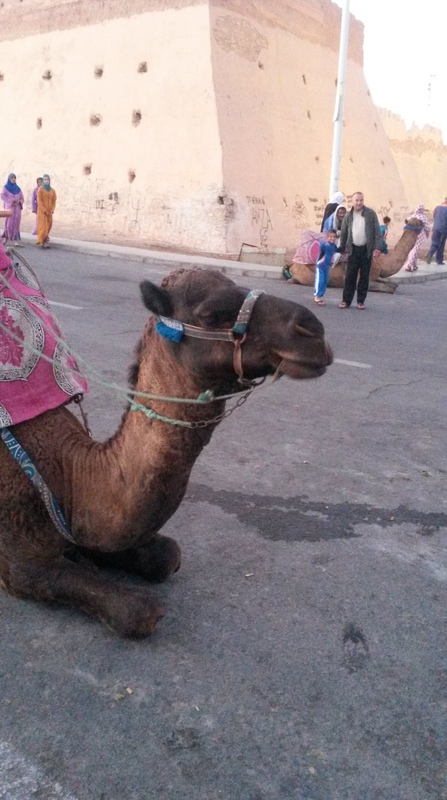 Morocco’s CTM buses are clean, comfortable, and reasonably priced. In case that isn’t enough, CTM offers the option of traveling by “CTM Premium” for a few extra dollars. 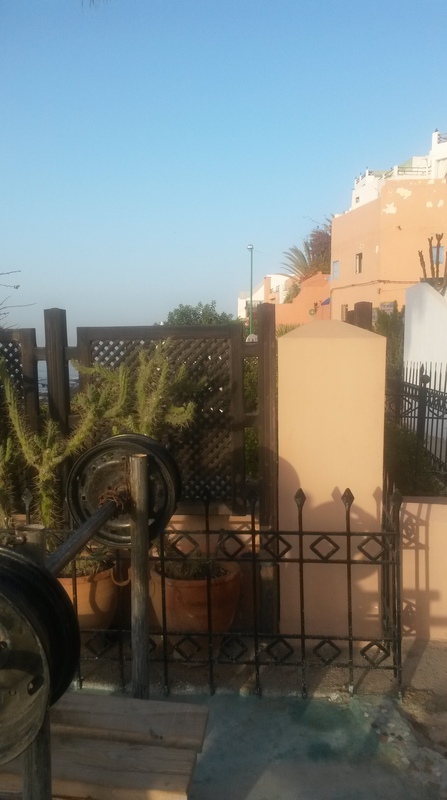 I took my first CTM Premium bus on this trip to Agadir, and it was definitely the nicest bus I have ever been on. Comfortable leather seats with foot rests allowed me to actually get some sleep on the overnight trip. Passengers are offered a newspaper (French or Arabic?) and a water bottle upon boarding the bus, and there is theoretically wifi, although it doesn’t always work. 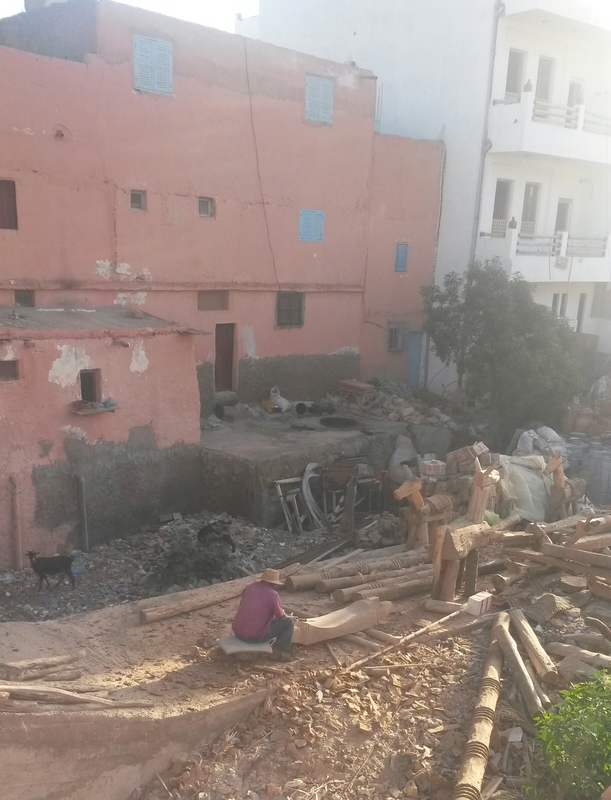 Agadir was devastated by an earthquake just over fifty years ago, and almost completely rebuilt. Thus, it has a different feel from many Moroccan cities. Its souks are spacious and neatly organized, instead of a winding maze of narrow streets crowded with vendors and shoppers. (Think New York instead of Boston.) Its marina district feels like Miami. 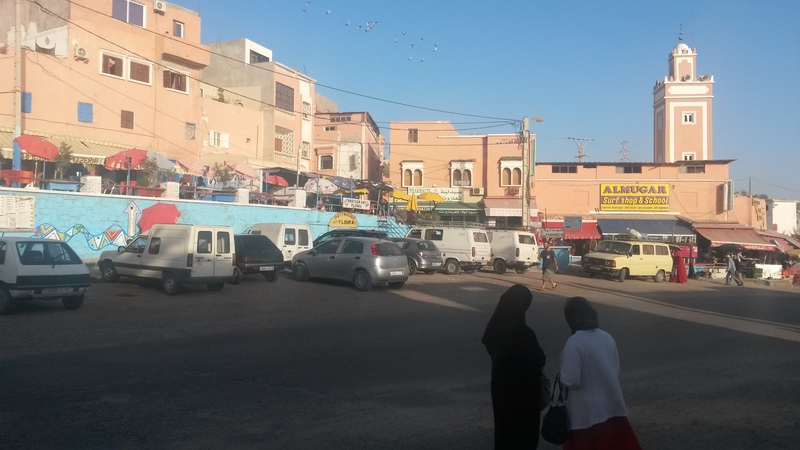 Agadir’s kasbah was one of the few parts of the city to survive the earthquake. 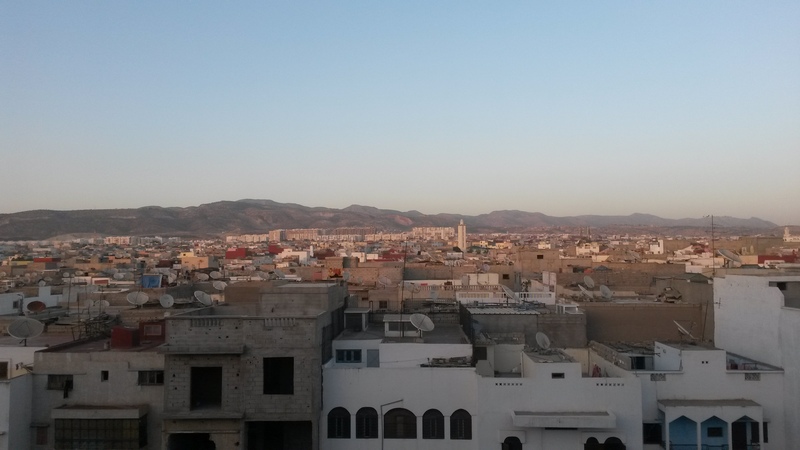 The kasbah sits high on a hill overlooking the city. 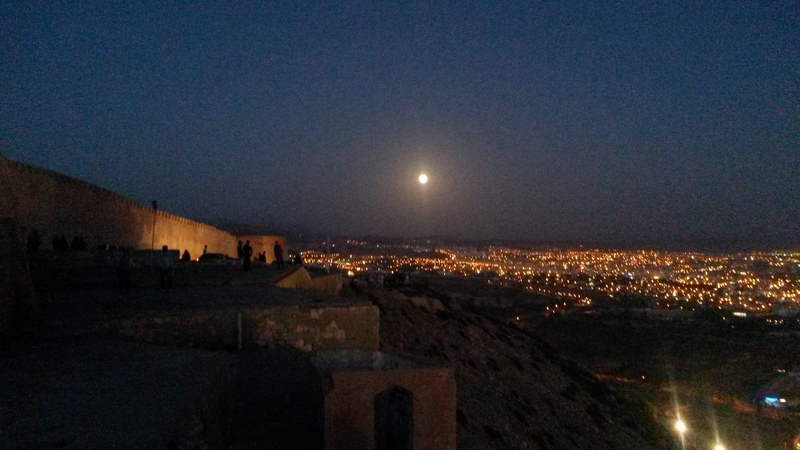 The words “God, Country, King,” in Arabic, are carved into the hillside and lit up at night. 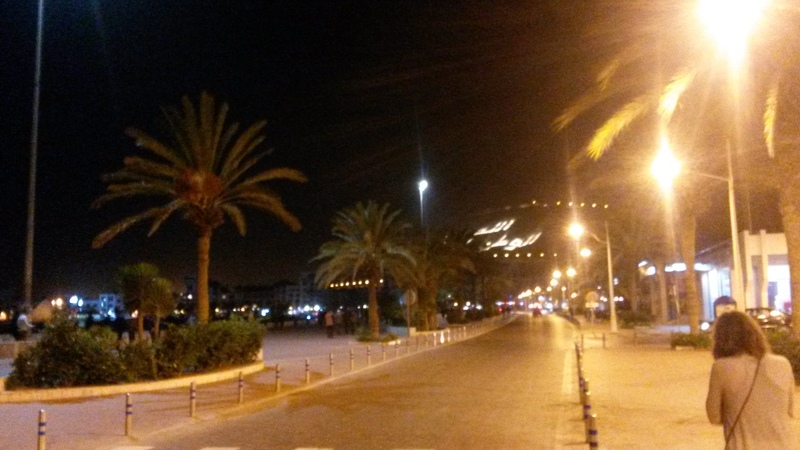 Marina at night. “God, Country, King” on the hillside in the distance. Right before I thought it was going to bite me. Camels are mean. 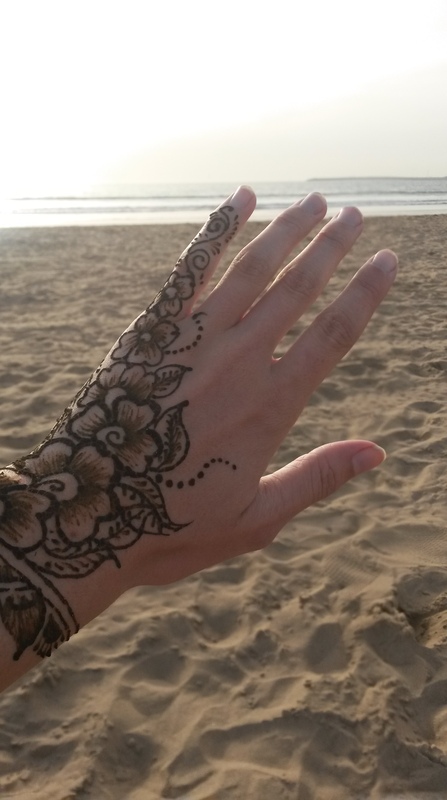 Henna on the beach! Yes, the beach in November. Can confirm: It is exactly what it says it is! 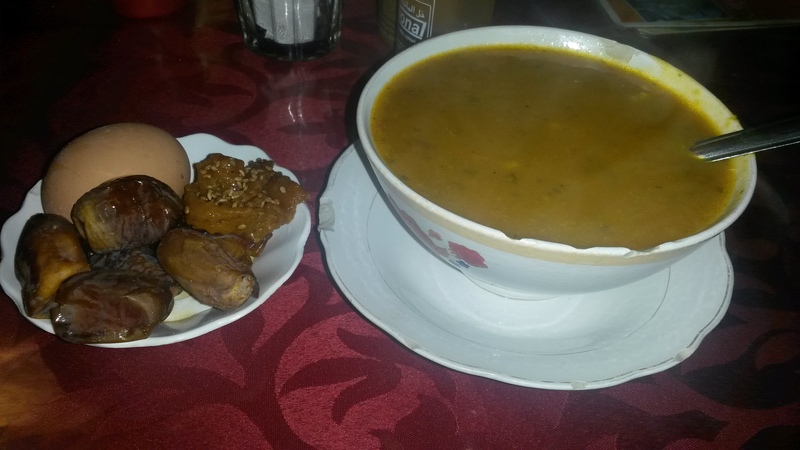 One of Agadir’s streets is lined with small restaurants serving harira, a delicious Moroccan soup. We ate here two nights in a row, at a table on the sidewalk, and ordered the special, a bowl of harira with a hard-boiled egg, dates, and chebakia on the side. I also ordered msemmen with amlou, a delicious dip or spread made from almonds, honey, and argan oil, a southern Moroccan specialty. Like peanut butter, but better. 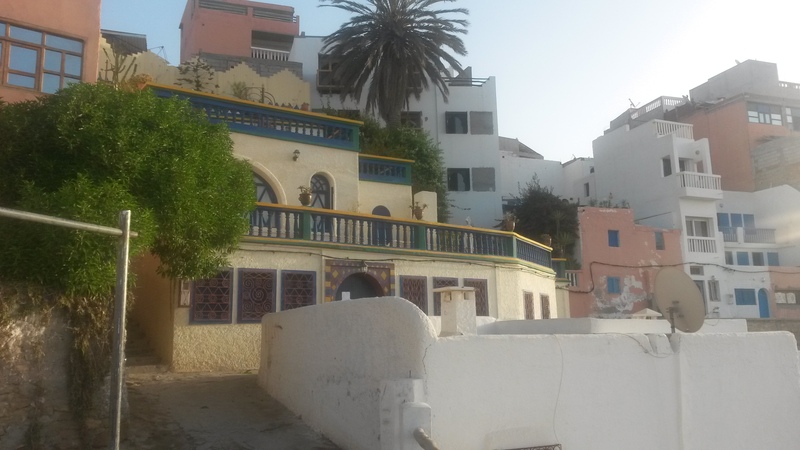 Taghazout is a beautiful little seaside town, about half an hour from Agadir by grand taxi. It is home to breakfast cafes and surf shops, fishermen, Moroccan surfer hippies (which, yes, do exist), Australian expats, tourists in search of surfing adventures, and goats wandering the streets. 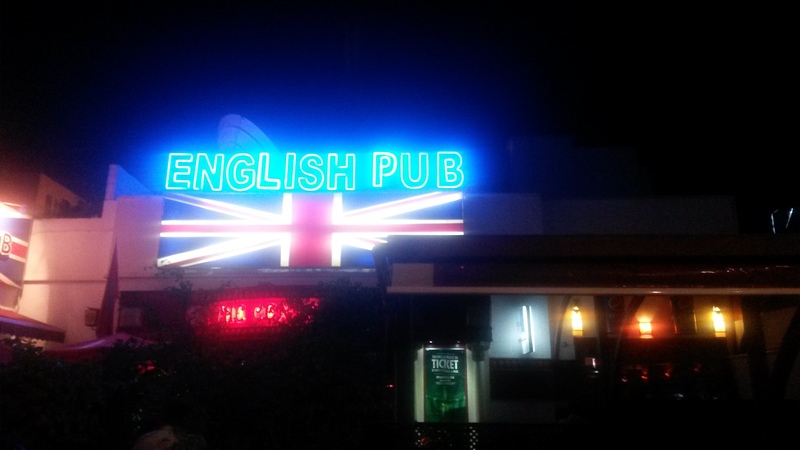 The whole town has a chill, relaxed, welcoming atmosphere. 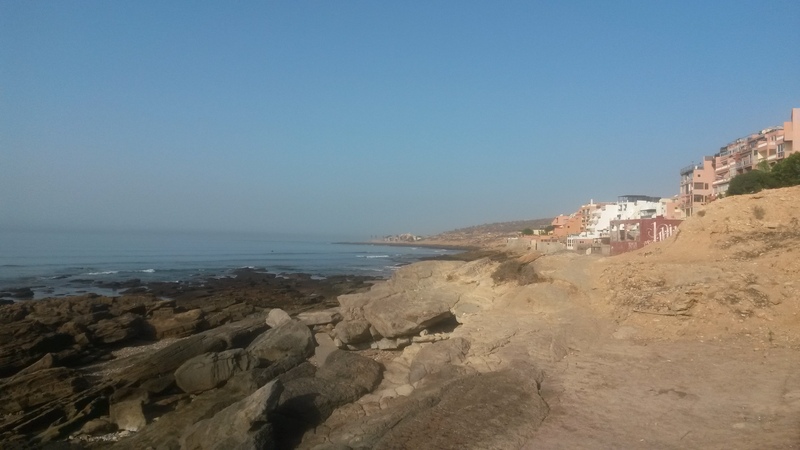 We arrived in Taghazout early on a Saturday morning and, after coffee and breakfast at an outdoor cafe, we headed over to a local hostel/surf shop combo to meet up with our instructor for the beginning surfing lesson we’d signed up for. We were each handed a wetsuit and a surf board to carry up the hill and place on top of the van that would transport us to the beach. Then we signed a liability form acknowledging that surfing can result in serious injury blah blah blah. Oh wait, no, we didn’t. This isn’t lawsuit-crazy America. Should I also mention that our instructor was googling “how to teach surfing lessons” in plain sight? But we were paying the equivalent of $30 for a three-hour lesson and all-day board rental, so we couldn’t exactly complain. This was the day I learned that I am absolutely terrible at surfing. Let’s just say I drank a lot of salt water. But it was fun. 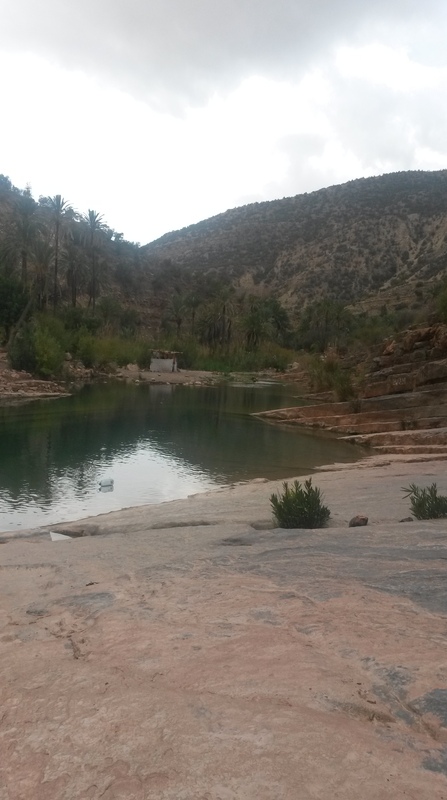 Paradise Valley is nestled in the Atlas Mountains, and its name speaks for itself. So much beauty. We wandered along dirt paths and slippery rocks, past tiny mountain cafes and cliff-jumping teenage boys. 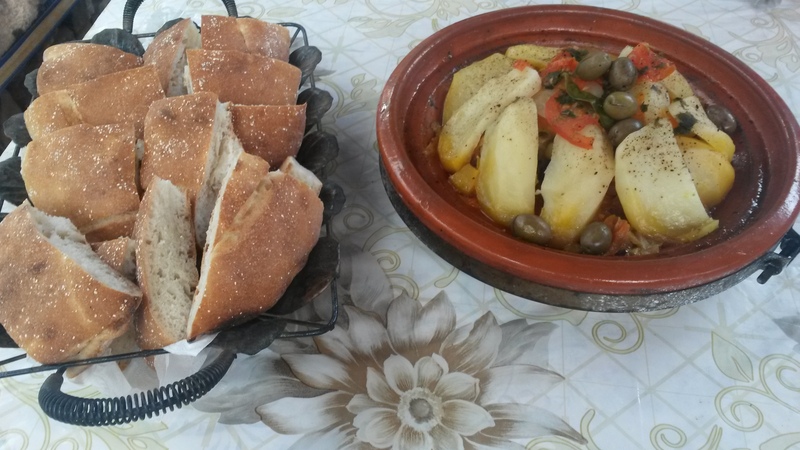 While strong winds shook the tree branches around us, we sat in one of the little cafes and ate goat tajine, using bread as utensils, the five of us all eating from the same dish, which we were used to by now. It was absolutely delicious. 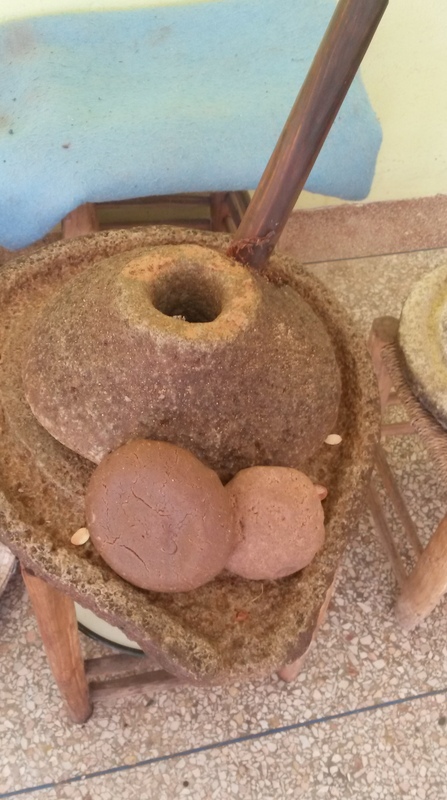 On the way back to Agadir, we stopped at a cooperative where two women were in the process of grinding argan nuts to make argan oil. Below is the grinder used to press the oil out of the nuts or kernels. The disks are what is left over once the oil is removed.